If you’ve hit a wall and can’t figure out what to get that “hard to buy for” person in your life…I think I can help. 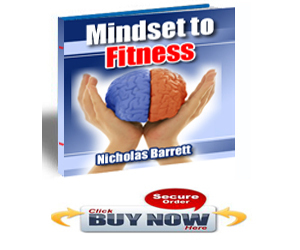 Why not give them the gift of fitness? I mean, who DOESN’T want to look and perform better? Now, I am not talking about some whiz bang gizmo that will do nothing but waste your money…I am talking some really cool ideas that will bring big smiles and great results this holiday season. If you’re like most, you are super busy now days. When you aren’t running errands, you’re hunched over a desk, slumped in front of the TV, chasing down the kids…or you’re doing something else. So who has time for proper and safe stretching every day? That’s when you grab for the foam roller. It’s an amazing little self-massage tool that will immediately help you loosen tight muscles, improve movement and reduce the chance for injury. It’s perfect for a quick 5 minute post-workout routine to start the muscle healing process from that intense interval training you do (or should be doing to lose body fat). Plus, the roller kneads and lengthens your muscles to alleviate nagging aches in your upper body, back, legs, hips, arms and shoulders. By far, the most convenient and affordable training equipment option for most fitness enthusiasts, beginners or experienced athletes. Portability for awesome workouts and versatility for fun workout variety…enough said, right? If you’re a busy parent, grab one and get a quick routine right in your own home. If you need more or less resistance, bands are available in different sizes. What could be easier? This is an easy one. Swing into Sports Authority, Sports Chalet, etc and pick up a gift card in most any denomination. This is awesome, because now the recipient gets to choose the right color, right size and the right item. Perfect! Everyone has to buy groceries, so why help them make healthier food choices? Of course, nutritionally supportive food is critical to any healthy lifestyle and this is a great place to start. Most of us are super busy and so tense from the hustle of day to day life, we sometimes forget to stop take a break…and feel the healing power of a massage! Although we already talked about the amazing benefits a foam roller will provide, but nothing replaces a day in the hands of a trained masseuse. There are so many “wonder” products for nutrition, it is downright confusing…so let’s narrow it down to few key ones that provide proven benefits. Quality protein powder can provide a quick fix on the go, a nutritionally balance supplement to any healthy diet, especially after a high intensity interval workout. Fish oil (or more accurately described as an EFA ‘essential fatty acid’ supplement) is paramount to giving your body the proper amount of omega 3′s to maximize your overall health, fitness ability and body healing and recovery. Another thing, you should also look for “krill oil”, which has been shown to provide the most effective dosing of EFAs. A high quality multi-vitamin provides the right balance of nutrients a lot of us typically lack. Since nobody’s dietary intake is PERFECT, we can all benefit from a good vitamin. Here’s the catch…you need to make sure it is made from whole foods, not synthetic material and be certain it is made specifically for your gender. Simple stuff here…you have a baseball player on your list. They might really love a new bat or set of batting gloves. Football fan who loves the New York Jets? A new Brett Favre jersey might be the ticket. Steeler’s fan (like me) on your list? A snazzy new t-shirt might just be the winning idea. Even something as inexpensive as a team keychain can be a very cool gift. Men’s Health or Women’s Health magazines are great choices…and the fitness book list is virtually endless. Pick a topic, pick a sport, pick an activity, pick a player…there are a ton of books available. Hit your local bookstore or online site like Amazon. Again, you can’t lose. This is by far the most exciting, fun and motivating workout environment for beginners to avid fitness enthusiasts. Because boot camp workouts allow participants to excel at their own pace under the guidance of a personal trainer in a group setting, this is an excellent investment for anyone looking to jump start their training or try something new. Plus, look for camps to be confident enough in their programs to offer free trials or money back guarantee for all newcomers. If the program is a good fit, you’re likely to continue the program and see great results. So join a camp with a friend or family member, or simply pick up the tab for a loved one. It’s a heck of a lot cheaper than hiring a trainer for 1-on-1 sessions, and the it’s a lot more fun too. Trust me when I say that boot camp workouts, regardless of your current fitness ability, can change the way you look at effective exercise and will have you and your loved ones feeling slimmer and stronger in 2009. Have an amazing holiday and happy New Year everyone!